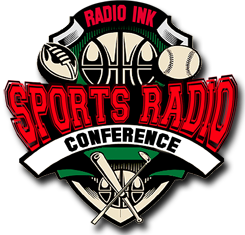 Last week I was a panelist at the RadioInk Sports Radio Conference in San Diego. Some of the biggest hitters from the programming side of the industry were there – Bruce Gilbert, Scott Masteller, Mark Chernoff and Jack Silver, just to name a few. Super Agent Leigh Steinberg delivered the opening keynote. The two-day event was full of fabulous information. A future NFL star once sent Leigh Steinberg an appropriately titled book to try to convince Steinberg to represent him. The clever marketing worked. It will work for you, too, in the job market. Steinberg has recently been on over 100 radio shows promoting his new book. The handful of interviews that stand out were ones that made him think. Let’s face it, nobody is irreplaceable. Make it super hard for your boss to fire you, though, by always working beyond your job description. Talent that “gets it” wants coaching from their PDs. Without improvement, they risk losing their jobs. Program Directors always need to be looking for opportunities to help talent improve. PDs should listen to their talent. Instead of telling them they are doing things wrong, ask them why they are doing things that way. When a PD asks his talent to do things a certain way, he should also explain why it is important to do it that way. Don’t ask talent to change several things at once. Ask them to make changes one at a time. A PD’s job is to remove talent’s obstacles to success. By doing this, you are also taking away excuses. PD’s should treat everyone fairly but differently based upon personalities. Since you’ve read this far, there’s a good chance you are a sports talk radio host. FYI – I am hosting an STAA Boot Camp next month just for you. Make your sports talk show unique, earn more money and RISE ABOVE THE REST. I’ll show you how. Keep reading.